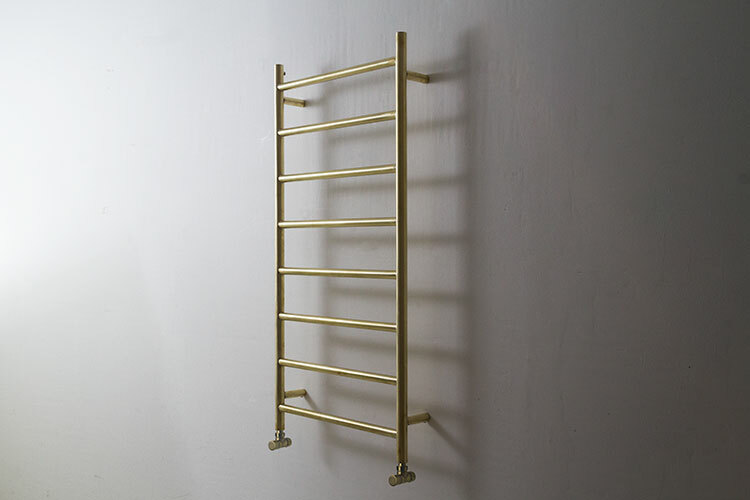 This modern bathroom heated towel rail has a stylish brushed brass finish, which will naturally patina and darken over time. 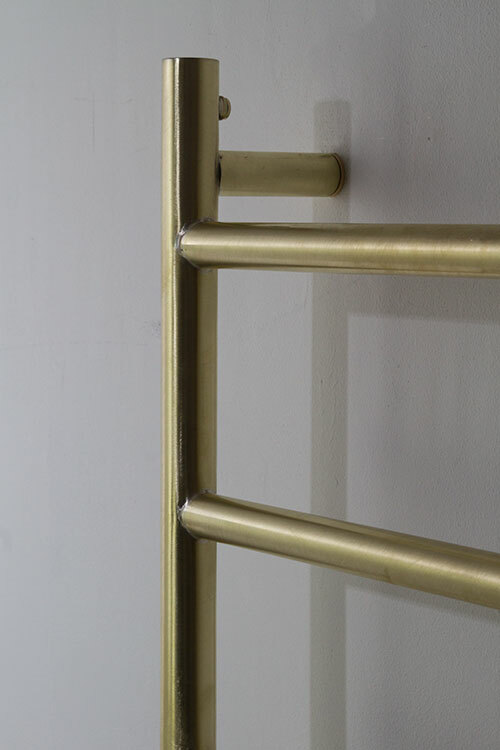 The brightness of the brass rail finish can then be restored with some light buffing to the surface. 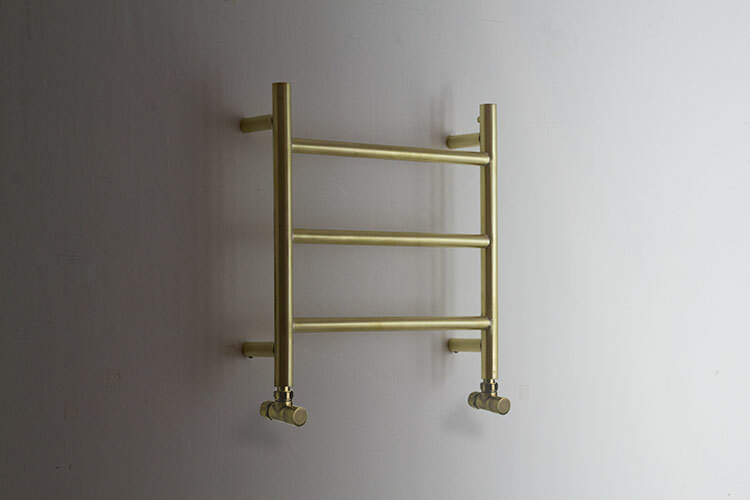 This towel rail can also be supplied with a protective finish which allows the rail to keep it original look without the need for maintenance. 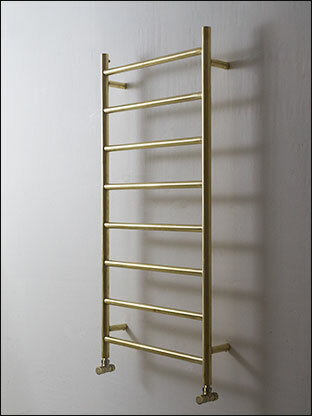 This brushed brass towel radiator is made exclusively in the UK to the highest quality standards. 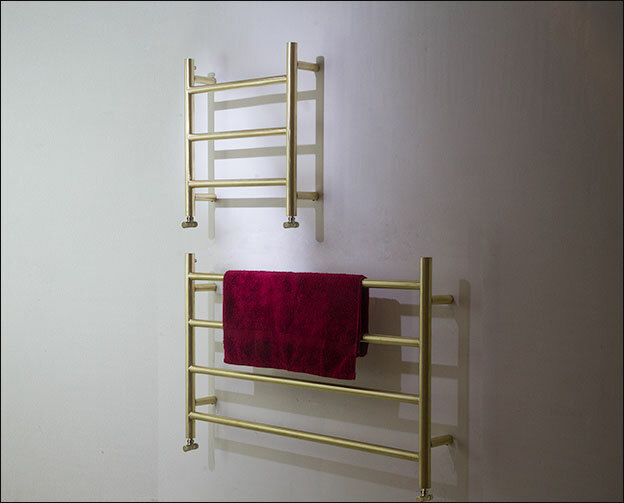 Designed for wet central heating systems as standard, with dual fuel and electric-only upgrades also available. 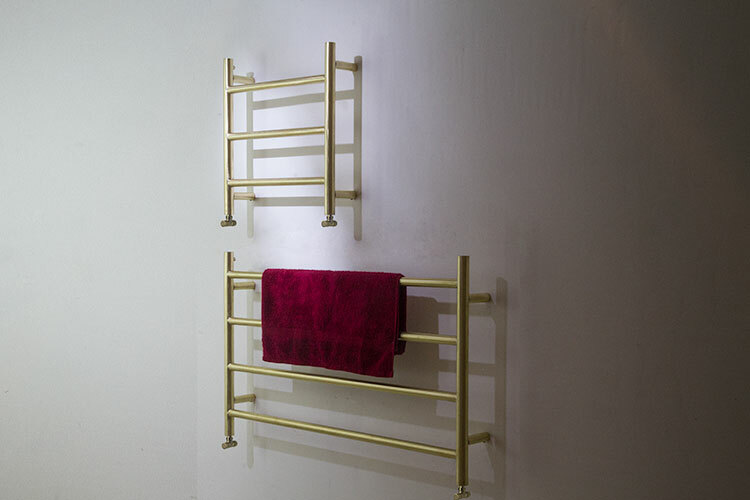 • Central heating, dual fuel & electric only options. 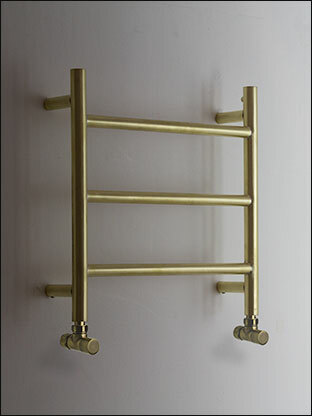 • Manual or thermostatic heating element choices. 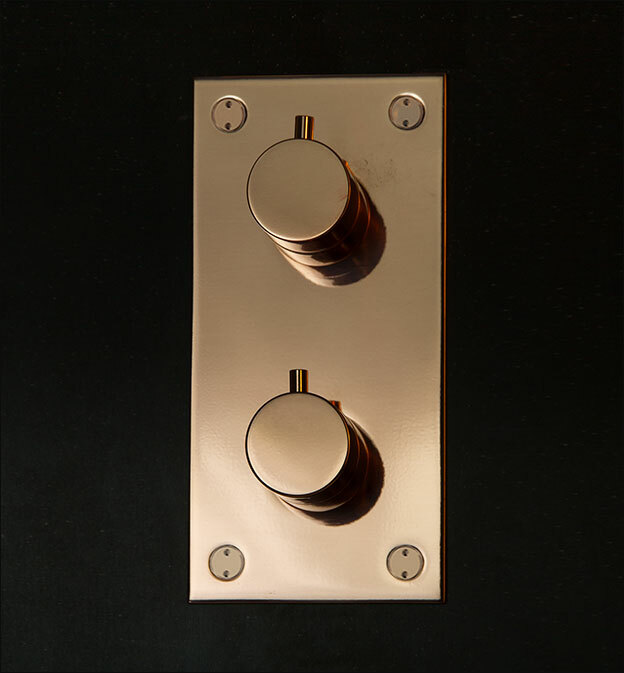 • Natural or protected finish options. 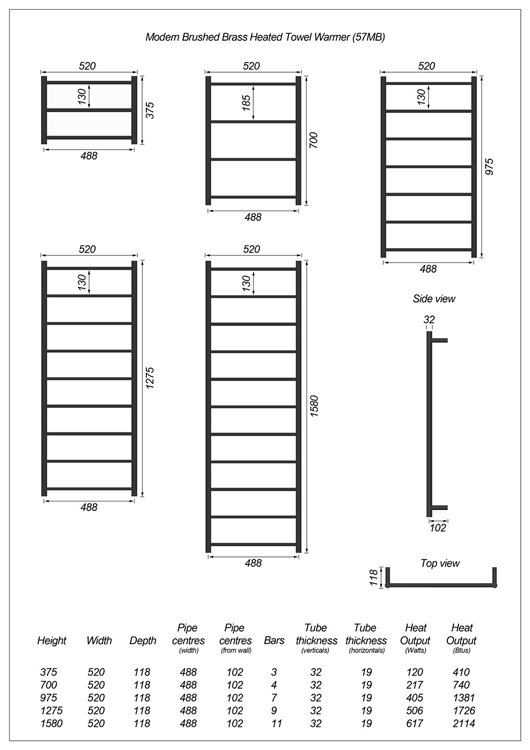 • 5 towel rail sizes. 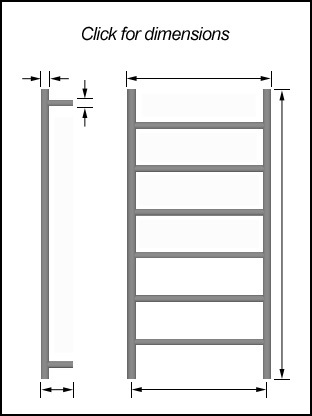 • Made to order, allow 6 weeks for delivery. 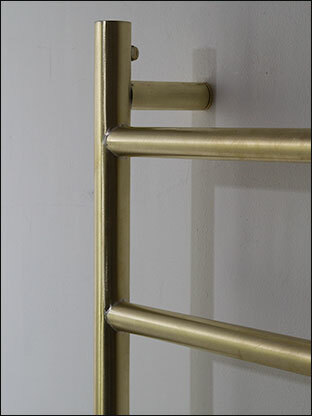 • Bespoke options on request. • Includes U.K. mainland delivery.